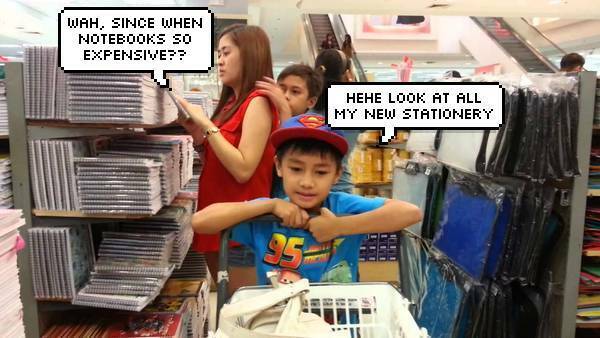 Back-to-school shopping is time-consuming and ridiculously expensive. How many highlighters do they need? And why do they use sooooo many notebooks?! It's only the first week of the year but you have to take leave already to accompany your kids to school, sometimes even staying there for the whole day. 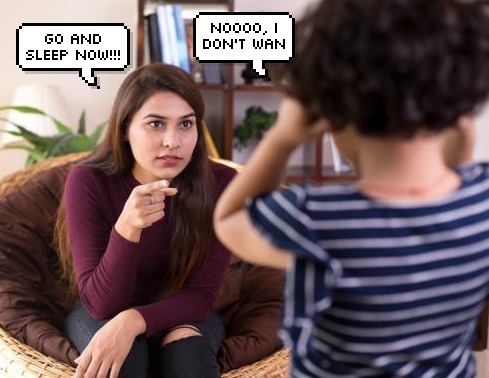 Making your kids go to bed early is always a struggle, especially after allowing them to stay up all night watching TV during the holidays. Although you wish you could sleep in just a little while longer, you know that you have to wake up extra early to prepare you and your kids for a long day ahead. 5. Hollering your kids’ names until the whole neighbourhood can hear you, splashing water onto their faces... Nope, they’re still not awake. We all know how frustrating it is to drag our kids out of bed on time. And when you FINALLY managed to wrestle them into the bathroom, you go back into their room only to find them sprawled out, fast asleep on the bed again. You can spot the new parents from a mile away. 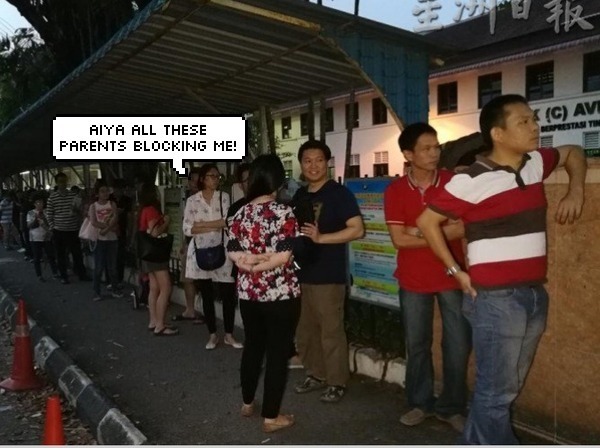 They're the ones blocking the entrance, eager to be the first ones in even though the school hasn't even opened yet. Sending your kids back to school is even worse when they're going there for the FIRST time. Surrounded by other bawling children, it's a traumatising time not only for your kid, but for yourself too. Since you know your older ones can take care of themselves, you just say a quick goodbye, secretly happy to have them out of your hair for a few hours. You can't stop thinking about what they're doing, whether they're okay, if they managed to find their classes, etc. Everything you do at work reminds you of them! 10. 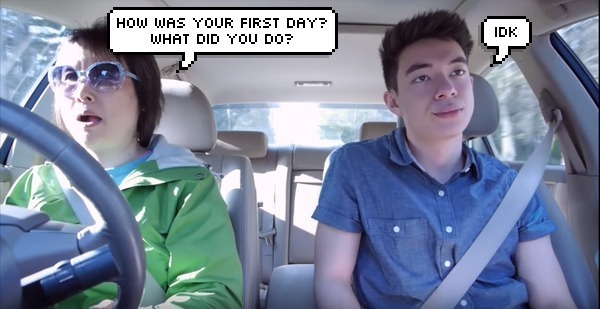 Picking them up, all excited to know how their first day went, but they're just like... meh. "Did you make new friends? Anything exciting happened? What did you eat for lunch?" 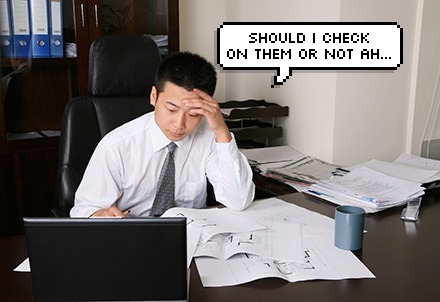 All these questions, but nope, they're not interested to answer them. Now that school has started, all the extra-curricular activities will be back in full swing. Prepare to switch roles from full-time parent to part-time taxi driver, as you chauffeur your kids and their friends to countless after-school activities. With so much time spent in the car sending the kids around, it's important to ensure their safety. 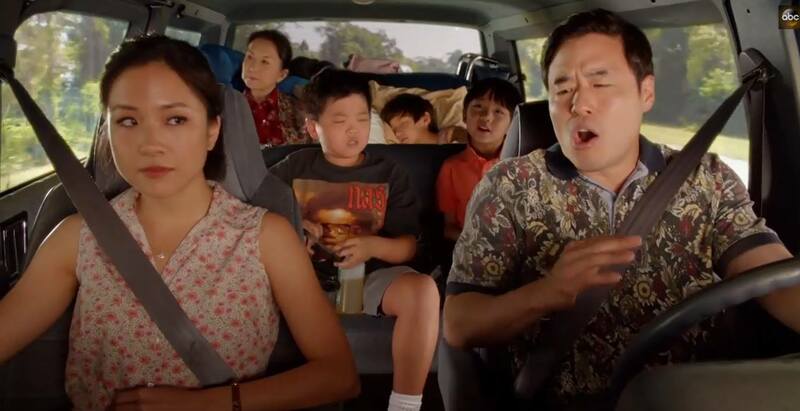 That's why the Honda CR-V is the perfect car to travel in with your family. Equipped with driver-assistive technologies and corrective measures for improved visibility, the advanced features will ensure that you and your kids are well-protected. 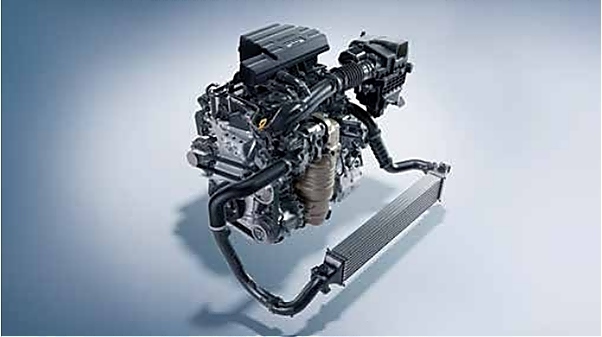 The CR-V has a 1.5L turbocharged engine that performs like a 2.4L engine. 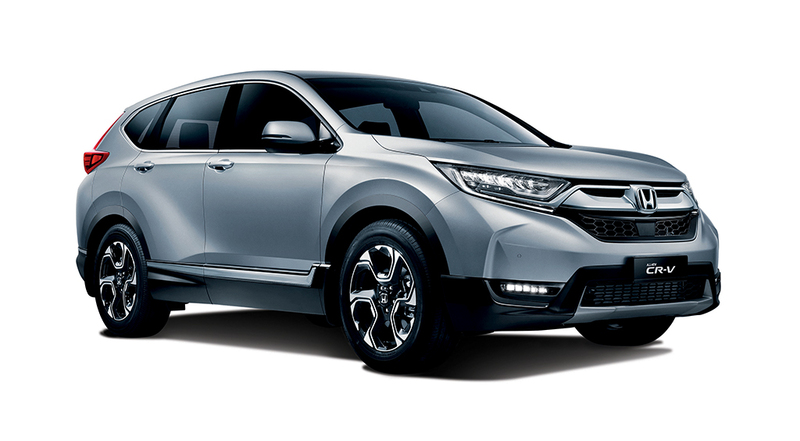 Also equipped with Honda's Earth Dreams, the CR-V has a fuel consumption ratio of 7.0L/100km* (or 14.3km/L), qualifying it as an EEV (Energy Efficient Vehicle). *Depending on driving conditions, load weight, idling time, driving habit and vehicle condition. 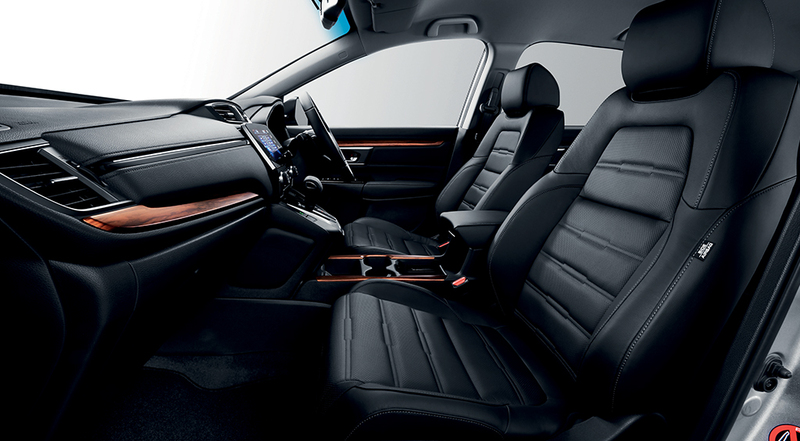 The CR-V was designed with maximised space and comfort. It comes with up to 1,084l of boot space so you could bring in enough cargo for your activities with the family. 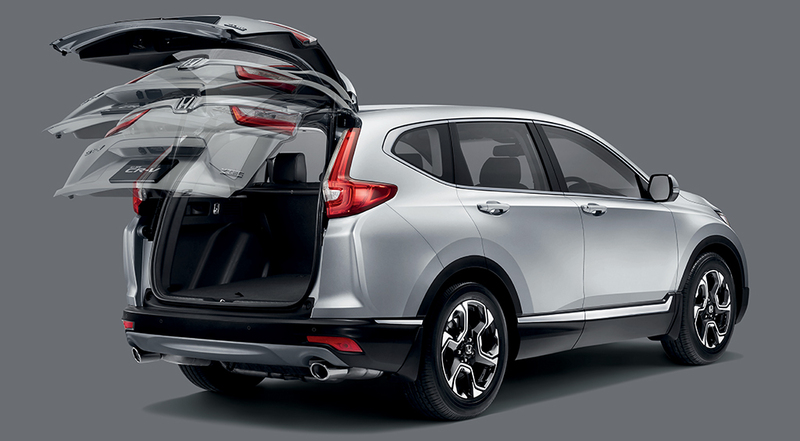 The CR-V comes with a power tailgate, allowing you to open and close it with just a touch of a button. This feature is especially convenient when you don't have a free hand to open your tailgate. 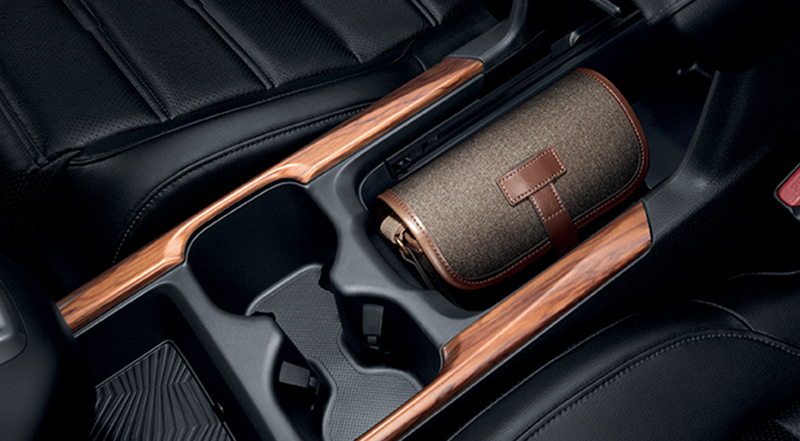 The CR-V's multi-function centre console allows you to rearrange it to fit large and small items securely. It also comes with USB charging pods, ensuring your devices are kept connected and charged! 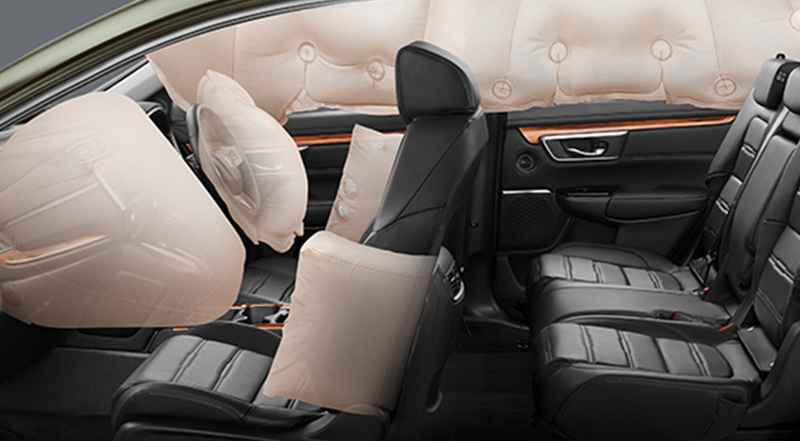 The CR-V allows you to travel in comfort, especially on those long family road trips. Some of the notable features worth mentioning include the Hill Start Assist (HSA), Vehicle Stability Assist (VSA), Agile Handling Assist (AHA), as well as six airbags. When stopping on a hill, the HSA helps you hold your ground to prevent your car from rolling backwards when you release the brakes. VSA ensures your car doesn't skid, especially when making sharp turns. The CR-V stays stable around corners as the VSA keeps understeer and oversteer under control automatically. AHA allows you to approach every bend with confidence. With the AHA, cornering ability will be improved with brake pressure applied to individual wheels automatically. This reduces the need for corrective steering. Honda SENSING is the next generation active safety feature that assist drivers by providing warnings and aiding drivers to avoid collisions. 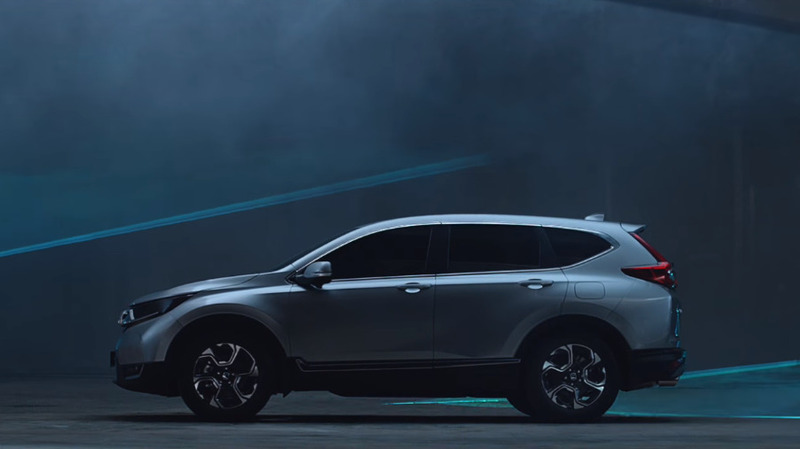 Honda SENSING is unique as it uses both monocular camera and millimetre wave radar to enable a more complete view of the road and as an added safety measure. The Honda SENSING is equipped with Side as well as Frontal Collision Deterrence. One of the features of the Side Collision Deterrence is the Road Departure Mitigation (RDM). RDM alerts, applies brakes, and assists the your steering to prevent driving off the road. You can also minimise the risk of front collisions, with the Collision Mitigation Braking System (CMBS). It assists in applying brake force progressively when it senses an increasing risk of collision. 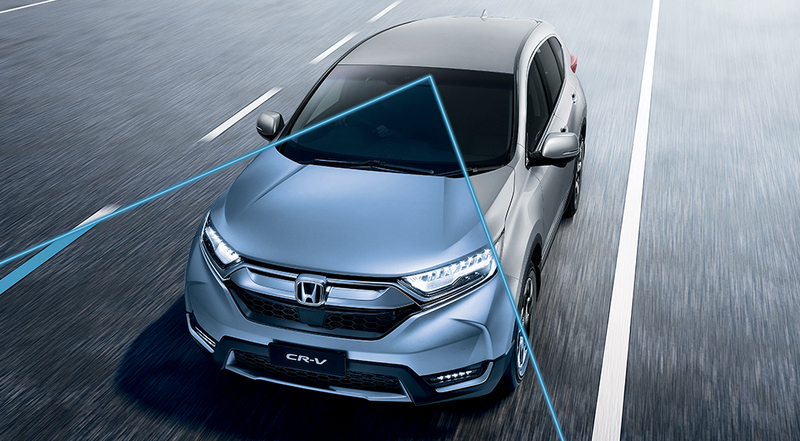 The system activates when it detects a moving object in front of the CR-V. Interested in the CR-V? Then visit Honda's website now to get more information about its new look and unmatched innovations.